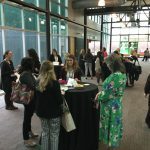 Grow by FarmHer targets women ages 16-22 and offers a day of networking with fellow women in agriculture and an opportunity to discover their passions for agriculture. This year, Grow came to Ohio State University. COLUMBUS — It only takes one match to make an explosion. 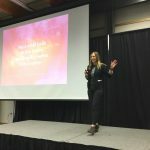 “You’re only one person, but you can have a really big voice,” Marji Guyler-Alaniz, founder of FarmHer, told a room full of young women Feb. 23 on the Ohio State University campus. She had left a stable career of 11 years in crop insurance to pursue a passion. With a love for photography, she set out to capture the women of agriculture — or Farm-Hers — in their everyday roles. “It was going to be a photography project for one summer,” said Alaniz. She launched FarmHer in 2014 as a blog to share her photos and it wasn’t long before people started to take notice. FarmHer debuted on RFD-TV in 2016, featuring women who run farms big and small all across the U.S. 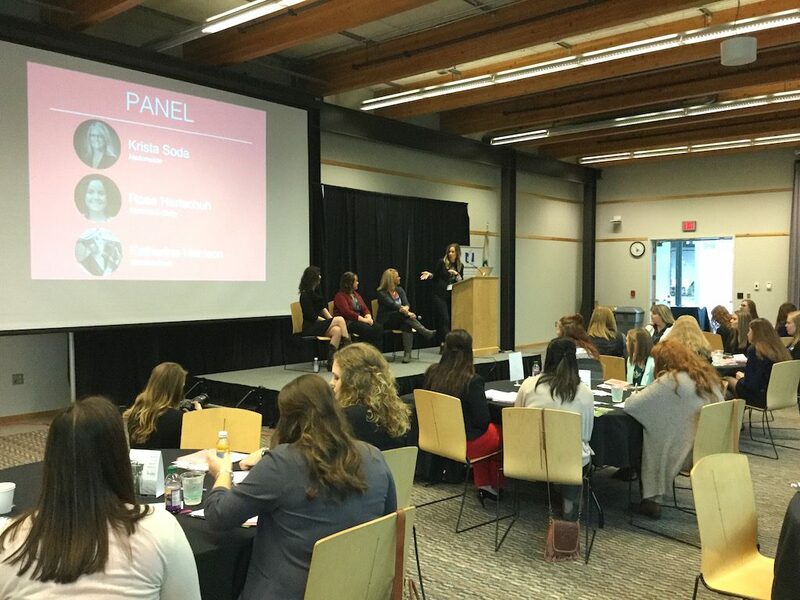 In an effort to connect with the next generation, Alaniz and her then intern, Lexi Marek, now communications coordinator for FarmHer, launched Grow by FarmHer. 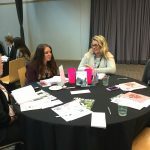 Grow targets young women ages 16-22 and offers a day of networking and an opportunity to discover their passions for agriculture. 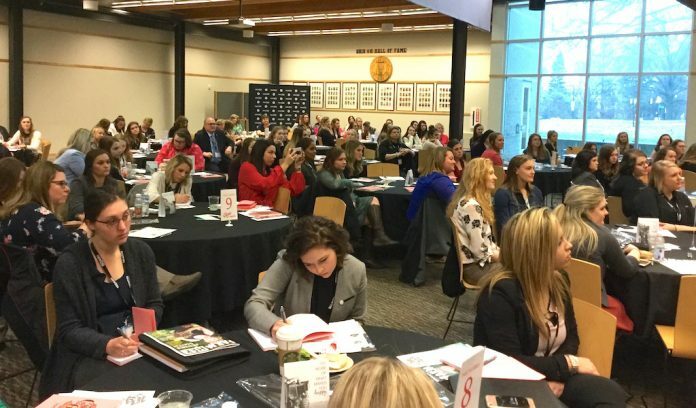 This year’s Grow events took place at North Carolina State University, Feb. 20; West Virginia State University, Feb. 22; and Ohio State University, at the Nationwide and Ohio Farm Bureau 4-H Center, Feb. 23. 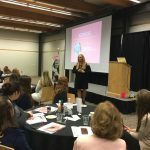 Marji Guyler-Alaniz, founder of FarmHer, encourged young women in agriculture to find their passions and live their fight songs. 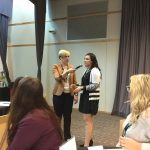 At the Ohio conference, young women heard from women who have made a name for themselves in agriculture. One panel discussed how they discovered their passions and the winding roads that got them there. Krista Soda, with Nationwide Agribusiness in Columbus; Rose Hartschuh, a Crawford County dairy farmer and business owner; and Katherine Harrison, of Harrison Farms in Groveport, Ohio, had no idea their lives would take the turns they have. “My path was not necessarily a straight line,” said Hartschuh. 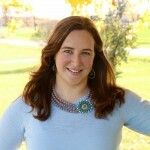 After college, Hartschuh took a job as an agriculture education teacher in Knox County. When she married her husband, they moved to Crawford County to work on his family’s farm. There, Hartschuh had the opportunity to partner with other local farm families who wanted to educate consumers about where their food comes from and provide a unique event space in Bucyrus. 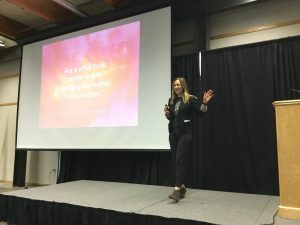 Hartschuh also knew she wanted to continue teaching, so she started a nonprofit to connect youth with agriculture. 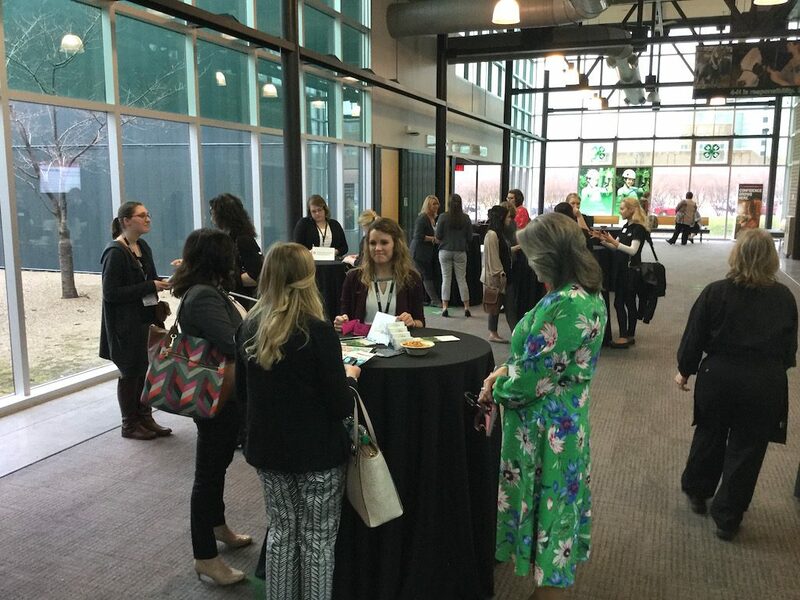 “Take every opportunity you have and learn from it; grow from it,” said Katherine Harrison. Growing up on her grandparents farm in Franklin County, she didn’t think she would end up back on it. After college, she took a job in Washington D.C., but decided she didn’t like the corporate life so she returned home. Harrison went back to school to get her master’s degree and took a job teaching history at a local high school. Harrison’s mother opened up a butcher shop serving the ethnic community with sheep and goat meat. Having a degree in world religion, Harrison was able to connect easily with the customers in the butcher shop. “I made the jump from teaching to running a slaughterhouse,” she said. After her mother died, Harrison found she was not fully invested in the business, and took a job as a caterer and eventually became an event coordinator. Harrison took all those experiences back to her grandparents’ farm, which she had purchased, and expanded the goat and sheep farm into an agritourism destination. 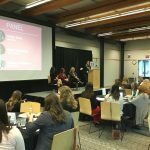 With every opportunity for growth, there comes an obstacle, and the three ladies on the panel are no stranger to life’s challenges. For Harrison, it was a growing farm and the challenge of employing more workers. “It takes a lot more management,” she said. Harrison also emphasized the importance of taking care of yourself in order to be an effective manager. Having a work-life balance was something that Soda didn’t take to heart until she had a child of her own. “I was a workaholic,” she said, setting up her daughter’s portable crib in the office while she worked into the evening. “I realized this wasn’t the life I wanted for my daughter. My No. 1 job is being a mom,” she said. Having a balance is essential whether you have a family of your own or not. “Balance personal and professional life by choosing what’s important to you,” said Hartschuh. Students asked the panel how they handle negativity. “No matter what you do, there are going to be people who do not know you and what you do. They are going to hate on you,” said Harrison. It’s important to understand what criticisms you can grow from and what you need to throw away, she said. And don’t let one bad work experience damage your career. 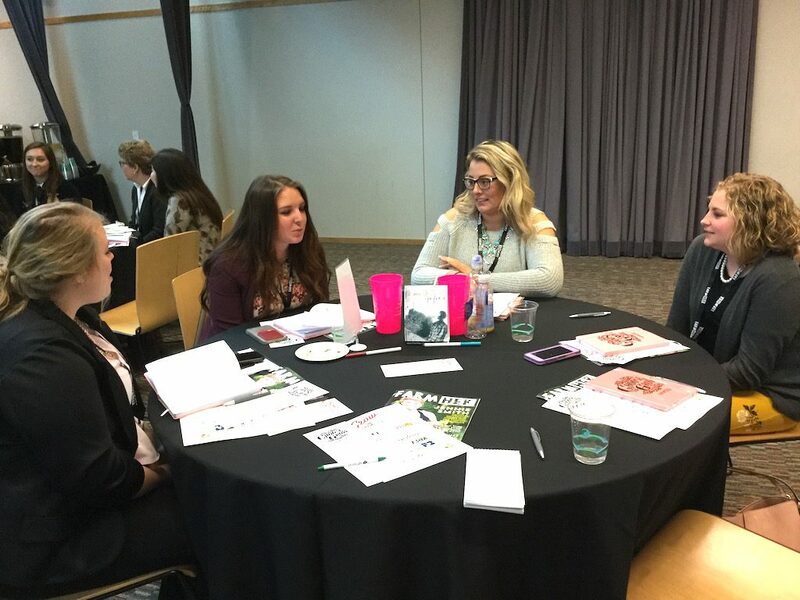 Ohio high school and college students shared their passions and career interests with each other at Grow by FarmHer — a networking opportunity for young women in agriculture. 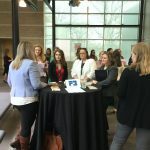 Ohio women in ag lead a discussion on finding your passion. College women met with Ohio agriculture companies to discuss career options during a networking session at the Grow by FarmHer event, Feb. 23, at the Nationwide and Ohio Farm Bureau 4-H Center on Ohio State’s campus. 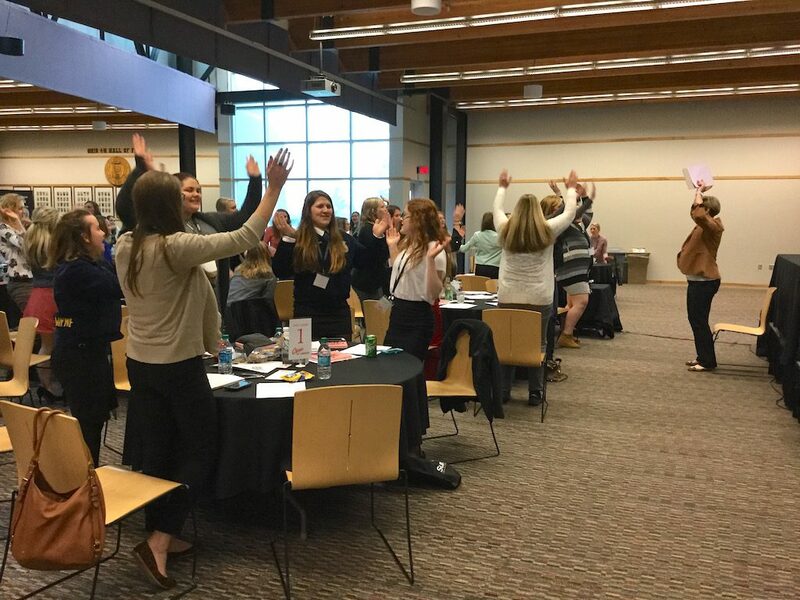 After lunch, young women at FarmHer played a game to get to know each other better. 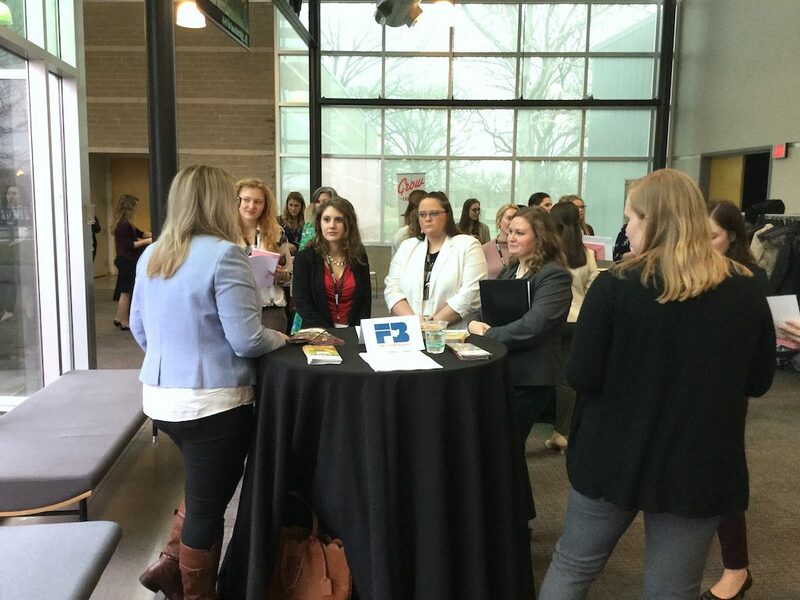 College women met with Ohio agriculture companies to discuss career options during a networking session at the Grow by FarmHer event. Cristen Clark, Food and Swine blogger and farmer, share what she wished she would have known about life when she was in college. 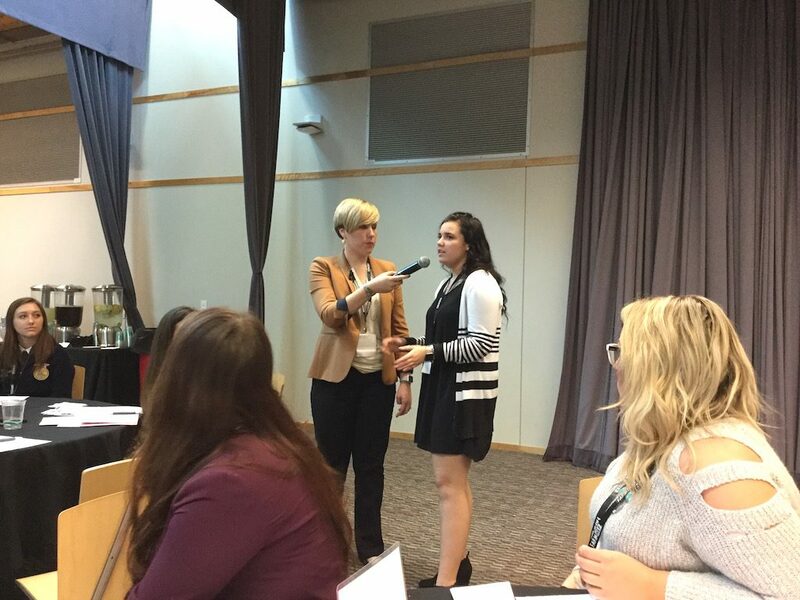 Marlene Eick held a workshop to help young women become better communicators and live their dreams. 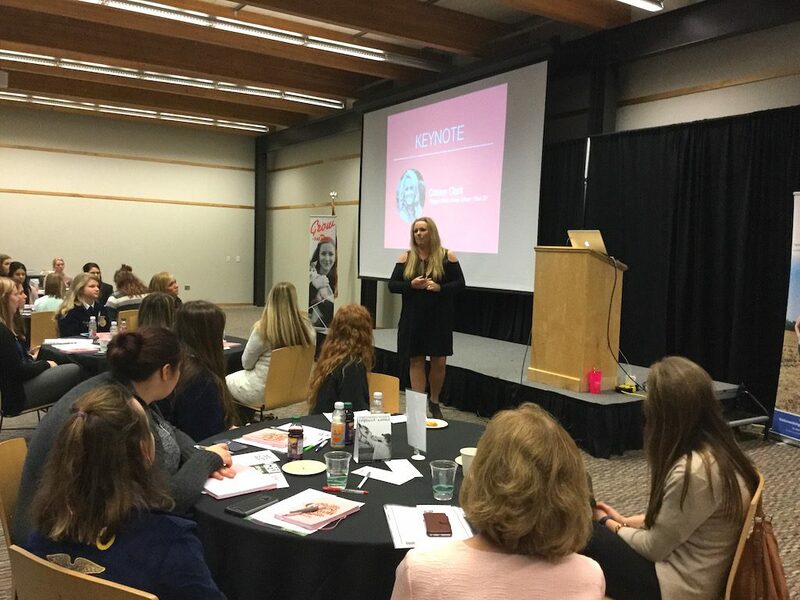 Cristen Clark, Food and Swine blogger and farmer from Iowa, told the young women their lives were just beginning and to embrace life as it happens. Trust your gut, roll with the changes, and don’t compare yourself to others was just some of the advice she shared as she reflected on the things she wished she knew when she was 22. Abby Myers, an Ohio State ATI student, said her favorite piece of advice from Clark was, “You may get out-classed, but never get out-worked.” Having three jobs and being a full-time student herself, she knows the value of hard work. The agriculture communication major recognizes “there are hard-working women out there,” and she wants to tell their stories. 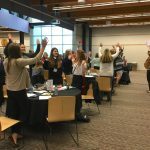 At the end of the day, Alaniz challenged all the young women in the room to find what makes them passionate — to find their fight songs. “Take a seat at the table. If you’re an active part of the conversation, it will make a difference,” she said.